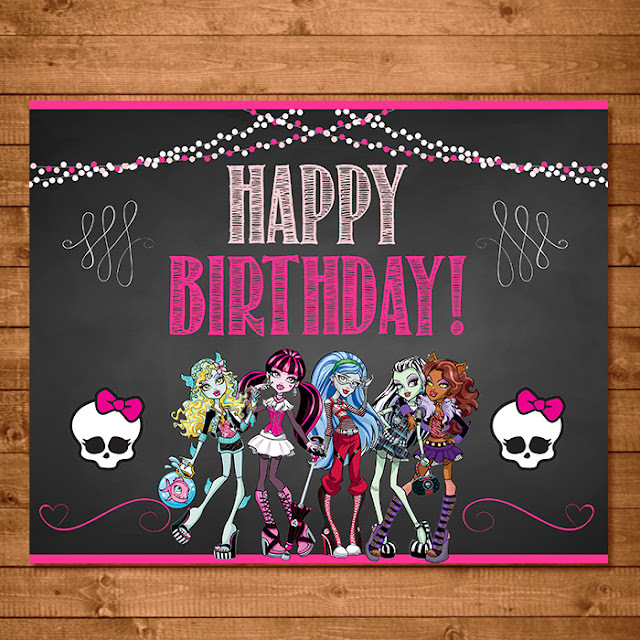 This Monster High Birthday Sign is 8x10 inches. The download is a high resolution JPEG file of the sign. 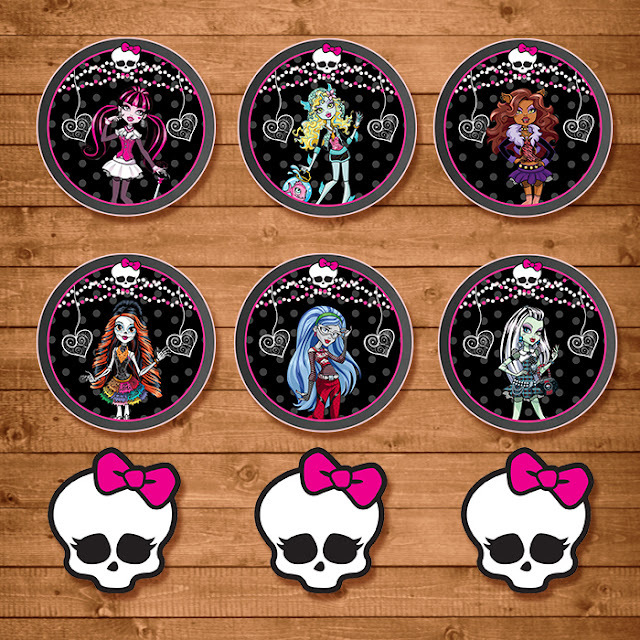 The size of each Monster High Goody Bag Tag is 4.25 x 2.5 inches. 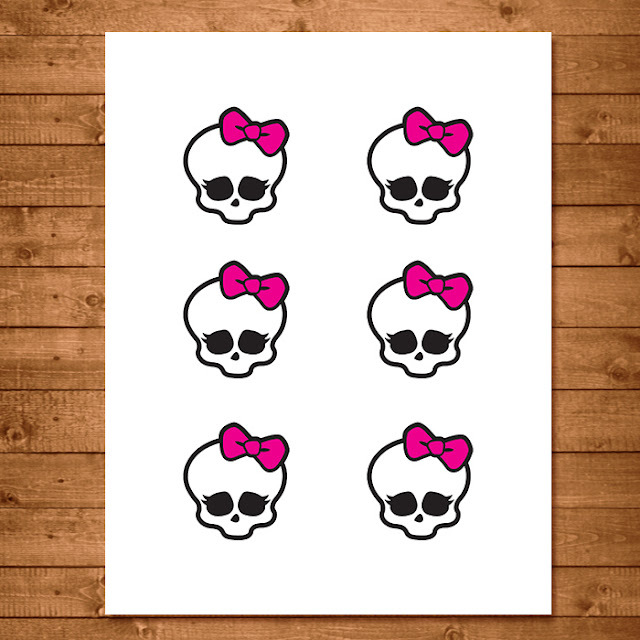 Print the tags on blank sticker sheets, plain paper, or card stock and attach them to your Monster High Party Bags. This file is 8.5 x 11 with 6 Ever After High tags. These double as a Monster High Thank You Cards as well. The size of each Monster High Cupcake Topper is 2 inches in diameter. 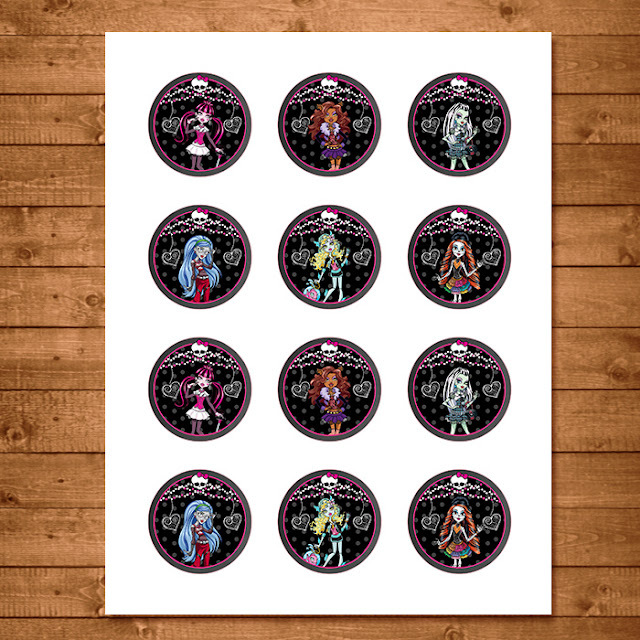 The file size is a standard 8.5 x 11 with 12 cupcake toppers ready to print! 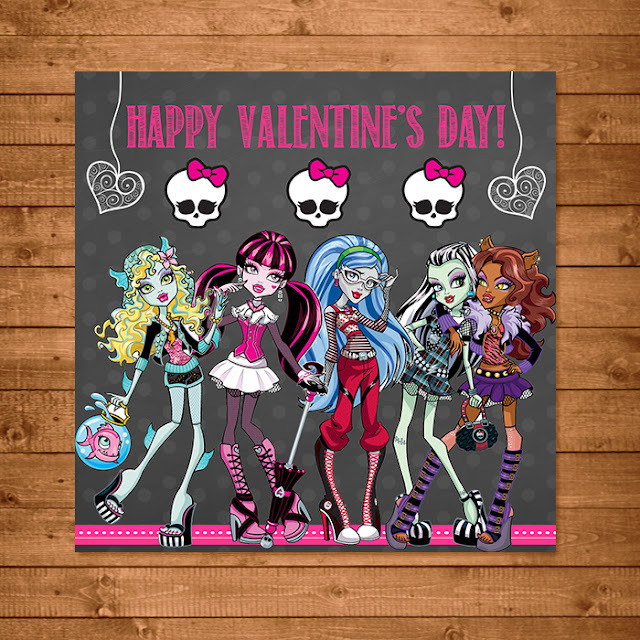 Print this on a sticker sheet, and viola, you have Monster High Stickers to put in the goody bags. 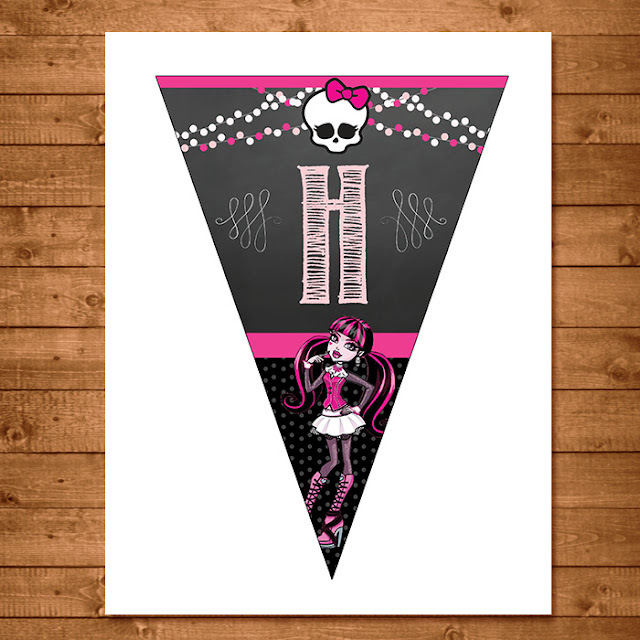 This Monster High Banner is a High Resolution PDF, 8.5 x 11 inches in size. 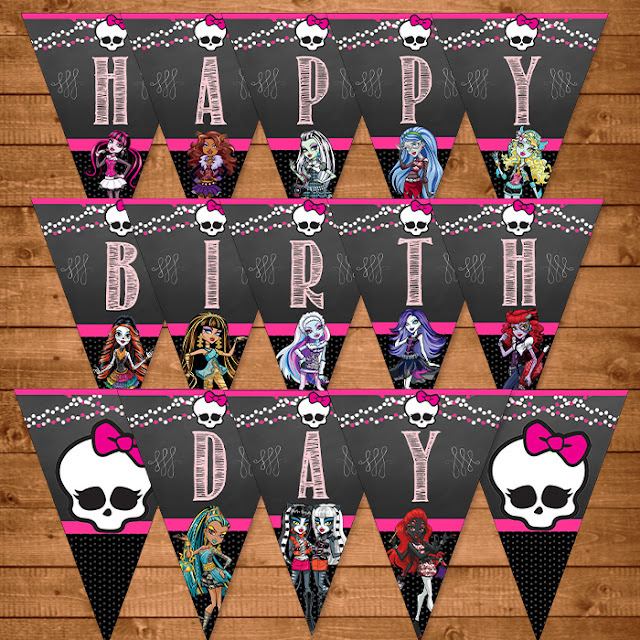 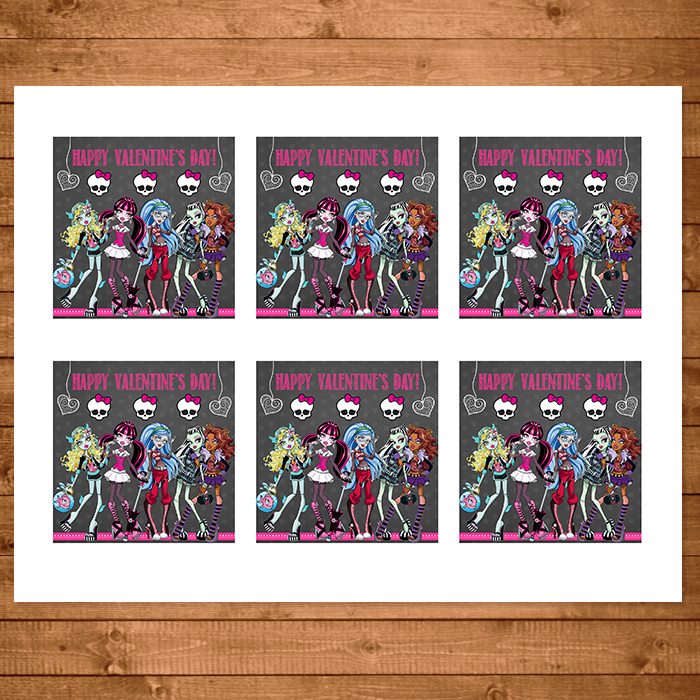 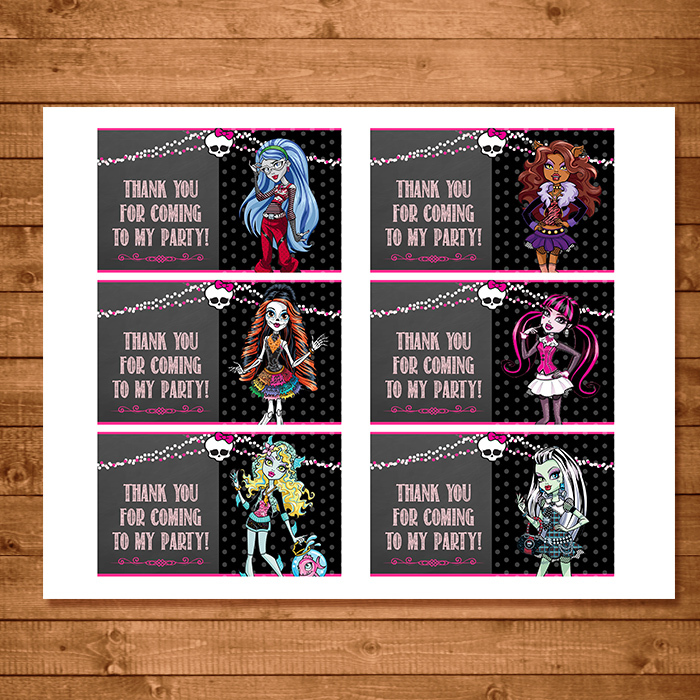 There are 5 Pages to the Monster High Birthday Banner, and I've managed to put three banners on each page to help you save money on your printing paper!